They’ve started as single panel comic art gags, then been live-action, animated, and even a Broadway musical. One thing’s for certain — the Addams Family will always, always return from the graveyard. Their latest appearance will be animated once more, arriving in cinemas for Halloween, of course. The regret is that with a cast this perfect, it should be live-action. 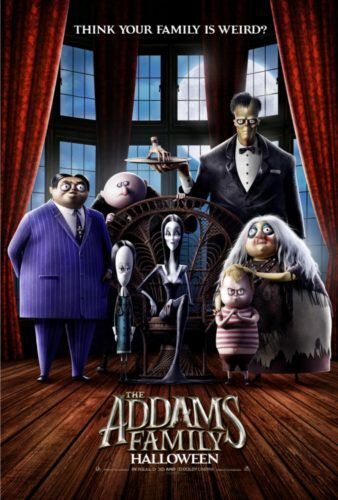 Oscar Isaac plays Gomez, the patriarch, and Charlize Theron is Morticia. Nick Kroll channels Jackie Coogan but with his own flair as Uncle Fester. The teaser shows a family that owes as much to the 1960s television series as creator Charles Addams’ original work — maybe more so. It’s got the right sense of the macabre, but as yet… not the snap. We shall see.